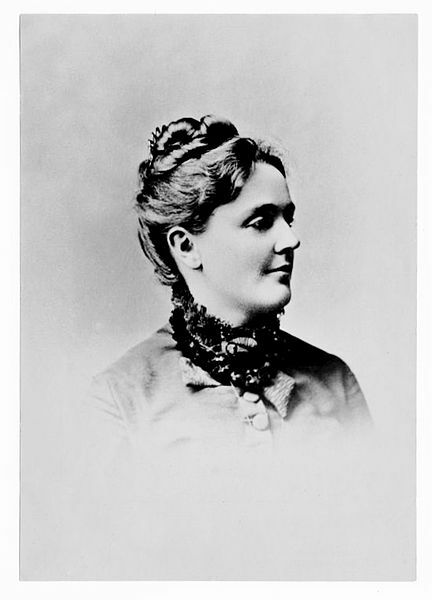 Sarah Orne Jewett (1849 – 1909) was an American novelist and short story writer born into an old New England family in the coastal town of South Berwick, Maine. Drawing from her native region, she became famous for her stories highlighting small town life, often set on the Maine seacoast. Jewett's most acclaimed work is her collection of stories, The Country of the Pointed Firs, published in 1896. Young Sarah was afflicted with rheumatoid arthritis. Her father was a prominent doctor and prescribed long walks to ease the condition. She also accompanied him on his rounds, which contributed to her deep love for the South Berwick area and the small seaports of Maine. Jewett published at the age of 19 with her short story, Mr. Bruce , in the Atlantic Monthly . As a “local color” writer, she often emphasized people and place over plot. She was praised by other writers, including William Dean Howells, who described Jewett as having "an uncommon feeling for talk — I hear your people." Speaking in praise of her novel, The Country of the Pointed Firs, none other than the esteemed Henry James declared it a “beautiful little quantum of achievement.” It is structured as a collection of inter-related short stories about people in a small town, similar to Sherwood Anderson's remarkable novel, Winesburg, Ohio. Jewett established a close relationship with the writer, Annie Fields and her husband James Thomas Fields, the publisher and editor of the Atlantic Monthly . When James died suddenly, Anne and Sarah began to live together in what was called a “Boston Marriage” -- a term used at the time to describe two women living together, independent of the financial support of men. An unfortunate carriage accident ended her career in 1902. A series of strokes, one in March and one in June, ended her life in 1909.